Here at LIMITLESS we feel this treatment is “vendor abuse”. Service providers have the ability to take advantage and most often do. Unfortunately, that means the business has only 2 options; 1. They can have an internal staff spend hours trying to keep up with the renewals, inventory, billing changes, audits, inspections, expired warranties, agreement promos, 3rd party charges and all of the other aspects of contracting with vendors OR 2. They can entrust these services to a company that provides a fully managed vendor and supplier software to maintain contracts, optimize billing and maximize profits. Seems pretty simple to me. Imagine all of the hours FREED up from resources not having to deal with the frustration of vendor management. 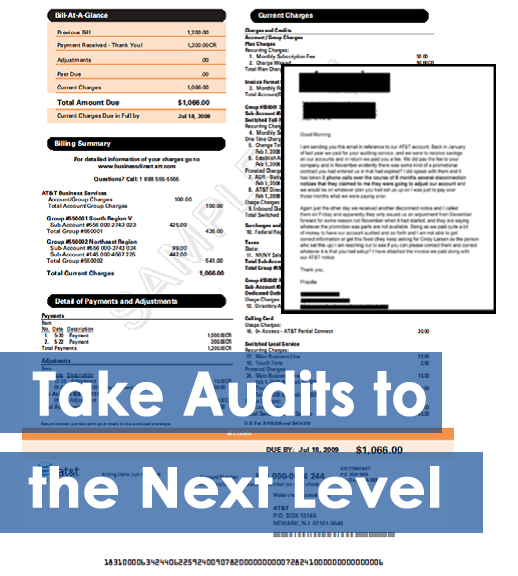 Having an EXPERT auditor, contract negotiator and accounts manager creating your unique profile including analytics and visibility into all spend. Having the ability to access all documents, contract, billing, renewals and warranties from ONE CENTRAL LOCATION – 24/7. Yes! Even while key vendor management resources are on vacation or away from the office for any reason when an important contact, bill or document is needed it is easy accessible by anyone with credentials. Want to know more about how to STREAMLINE your vendor management processes? Optimize the way your organization manages vendors? While increasing efficiency and therefore increasing profit? 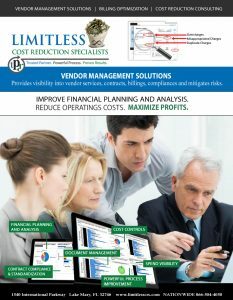 Contact LIMITLESS for a quick demo on what our FULLY MANAGED software can do for you. This IS what our team at LIMITLESS does All Day and Every Day. We take this burden off of your people – so they can focus on the bigger problems they face daily. We partner with each member of your team so they feel confident they can maintain the overall control of these relationships without losing vendors they value however, DO gain the critical accountability and transparency the entire organization needs to make better decisions. The support we provide, like our forefathers provided for us as a nation, allows your independent teams to no longer worry about handling the complexity of these relationships. Instead they can focus on growing the business, taking more overall market share and ensuring the success of your organization. 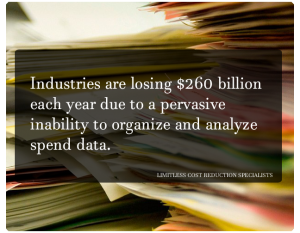 Contact LIMITLESS today for a FREE CONSULTATION to discover how to get control of your unmanaged spend and reduce expenses in your business. Nationwide: 866-504-4050. Call or email us at info@limitlesstechnology.com.